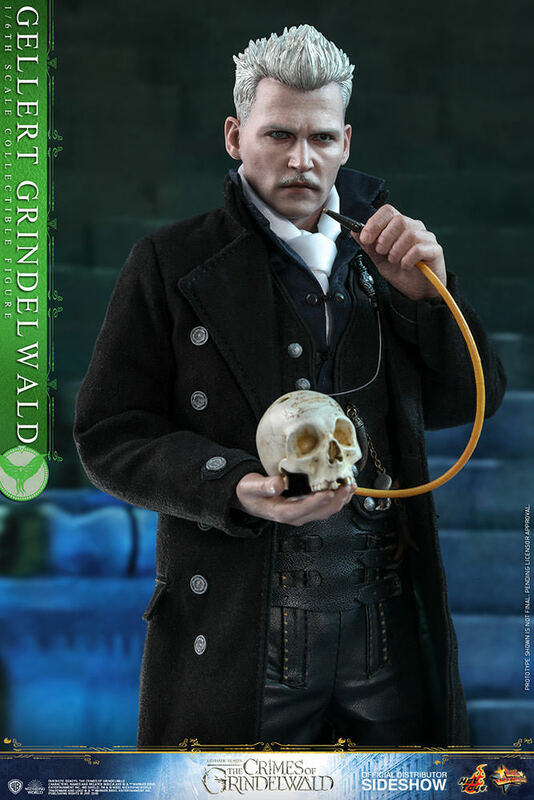 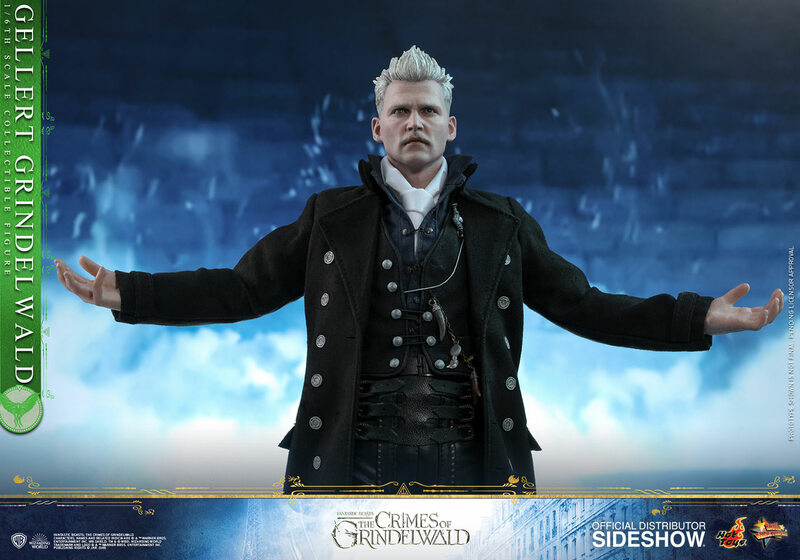 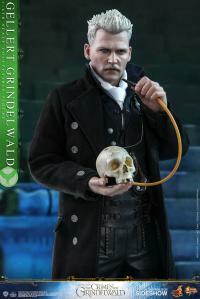 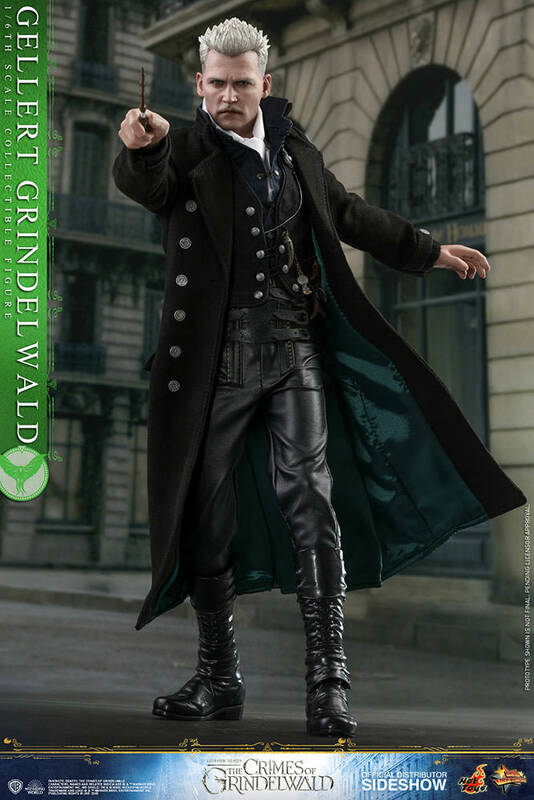 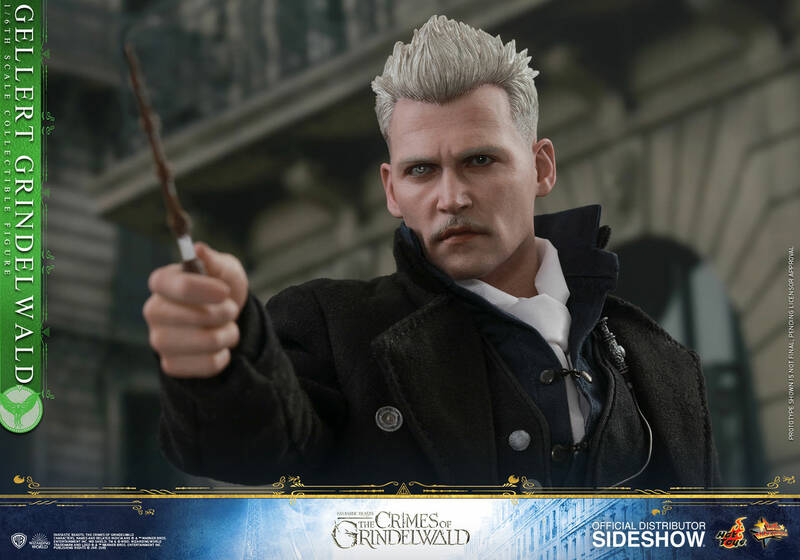 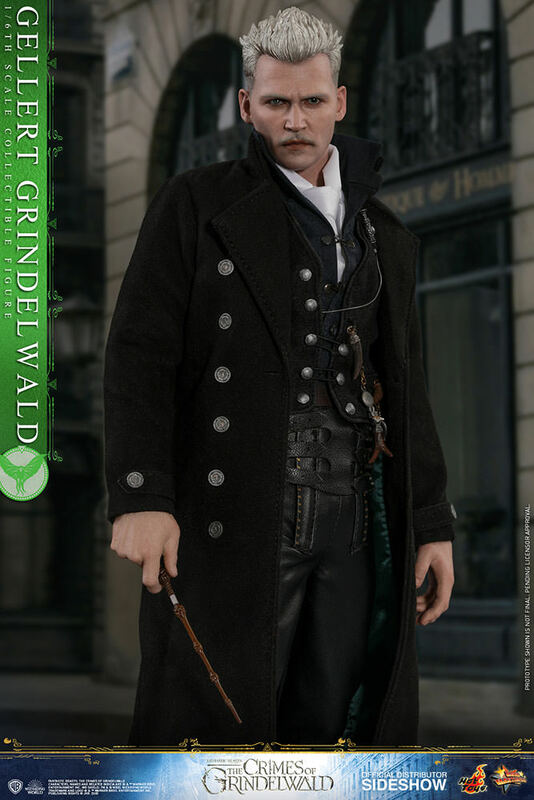 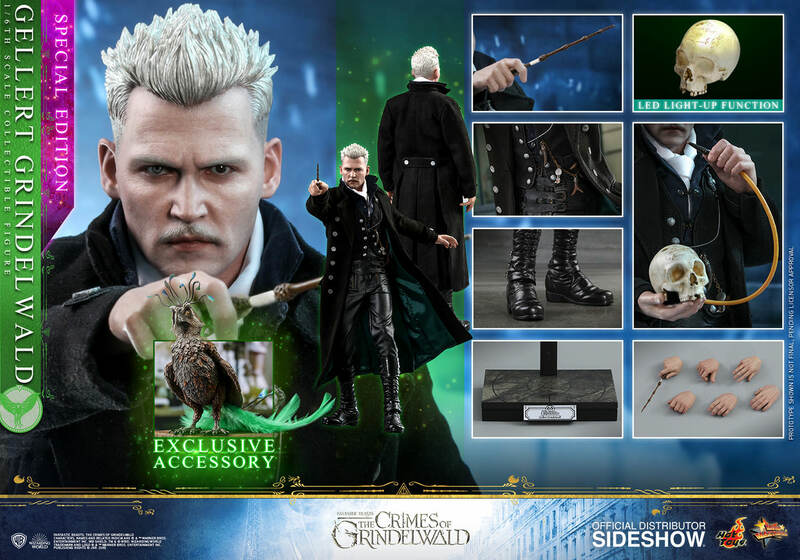 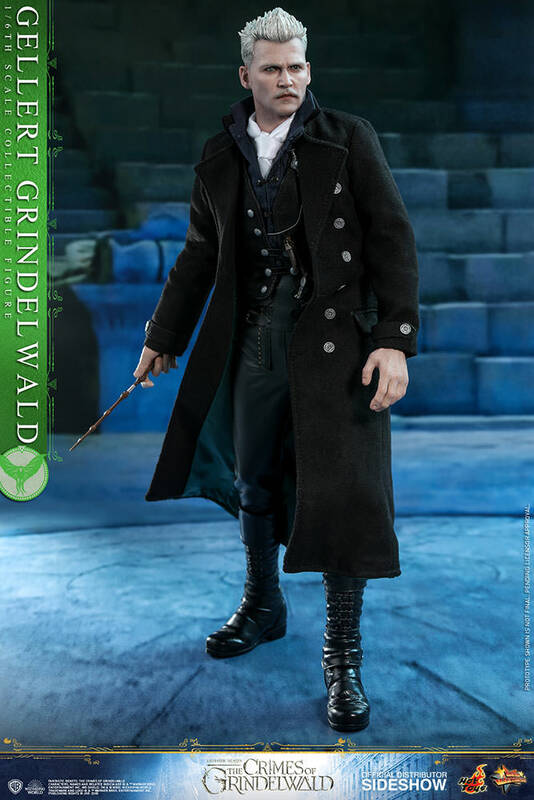 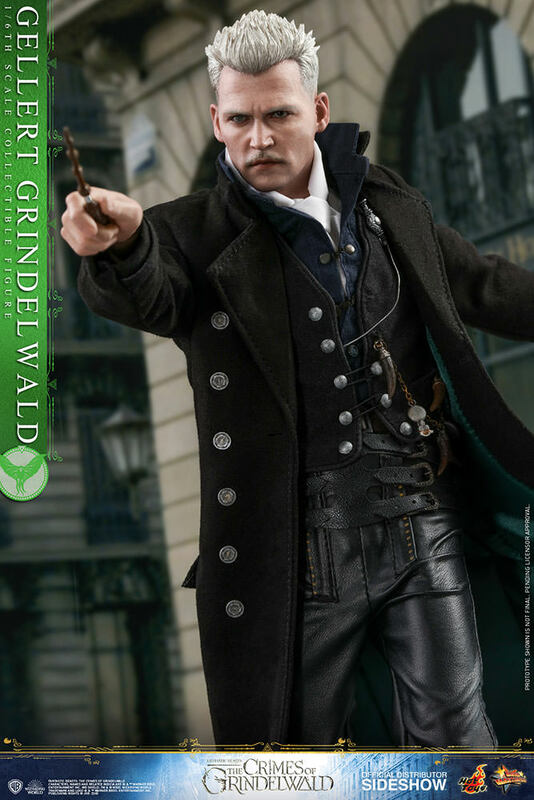 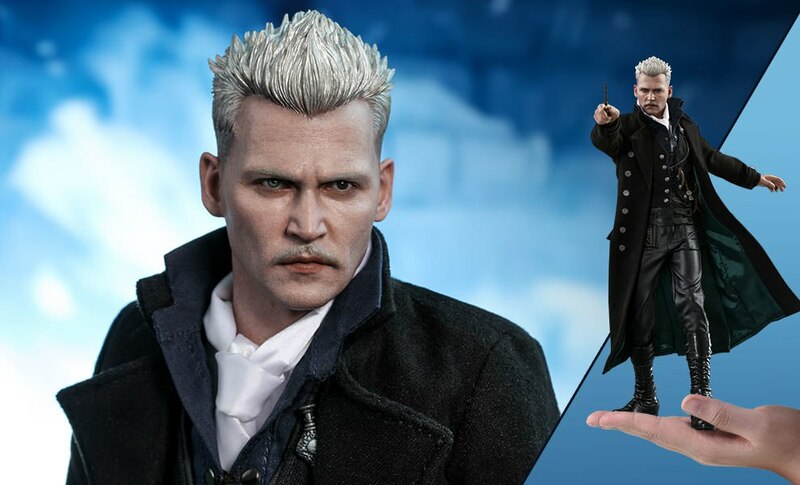 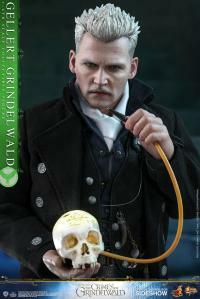 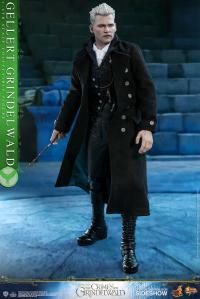 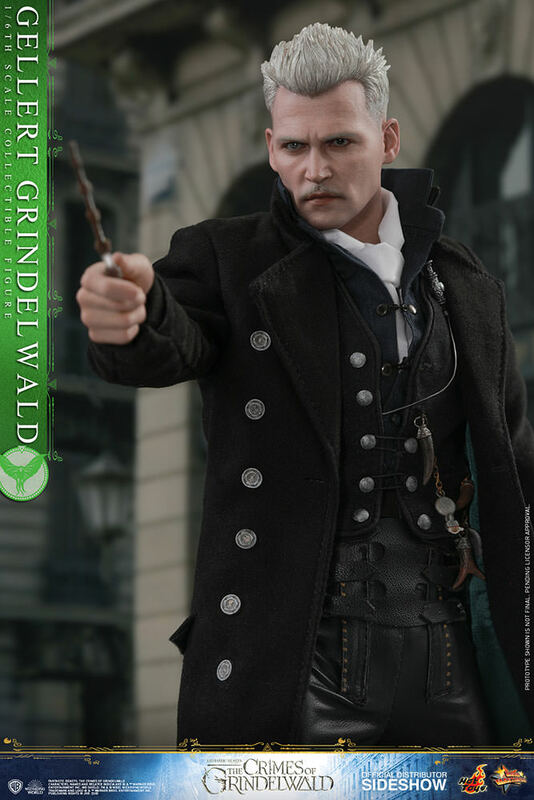 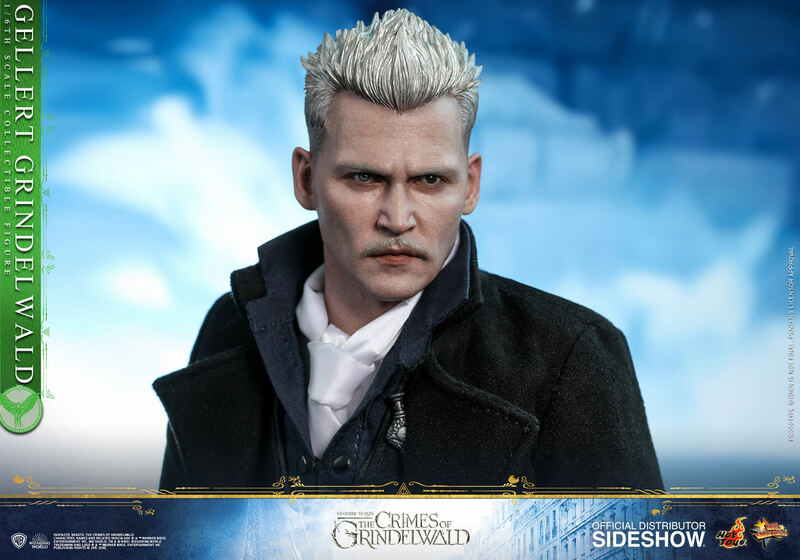 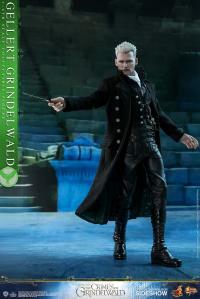 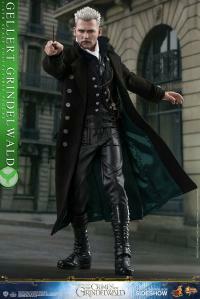 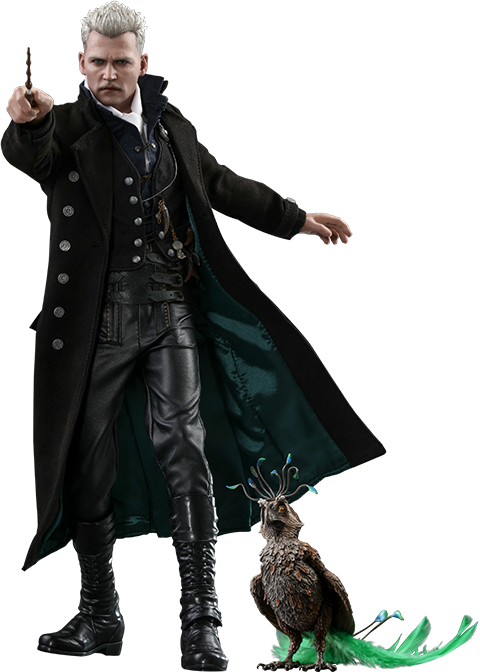 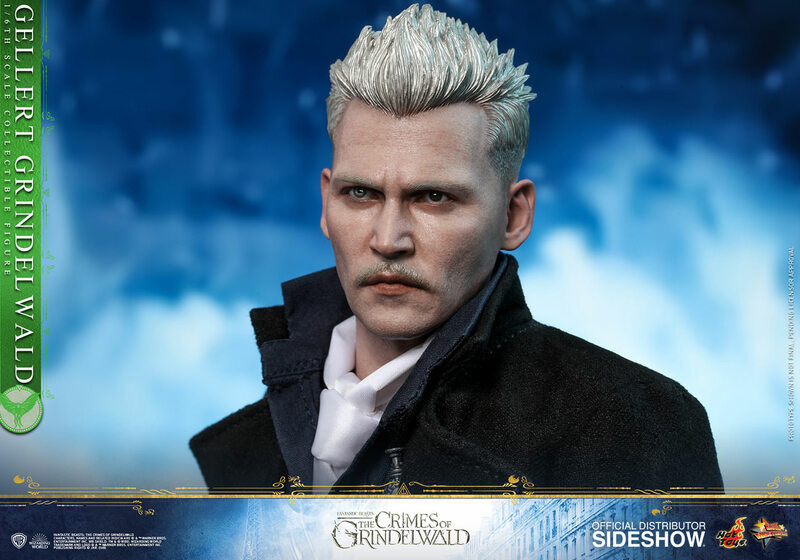 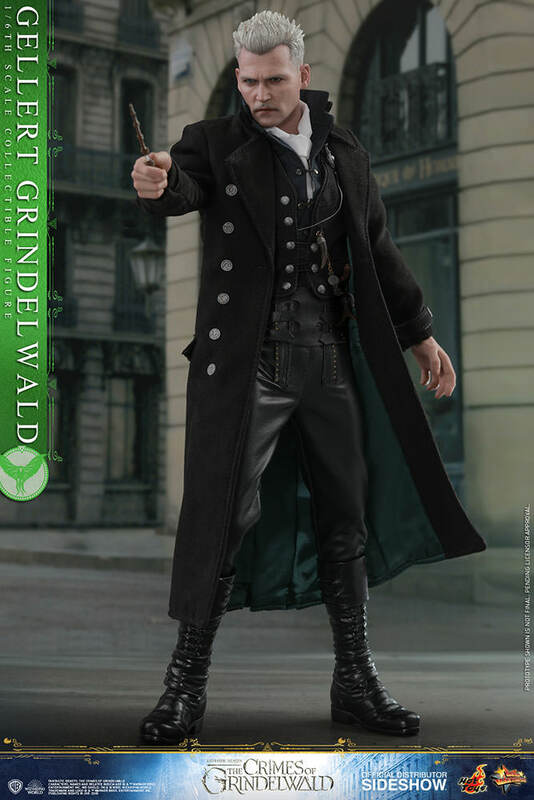 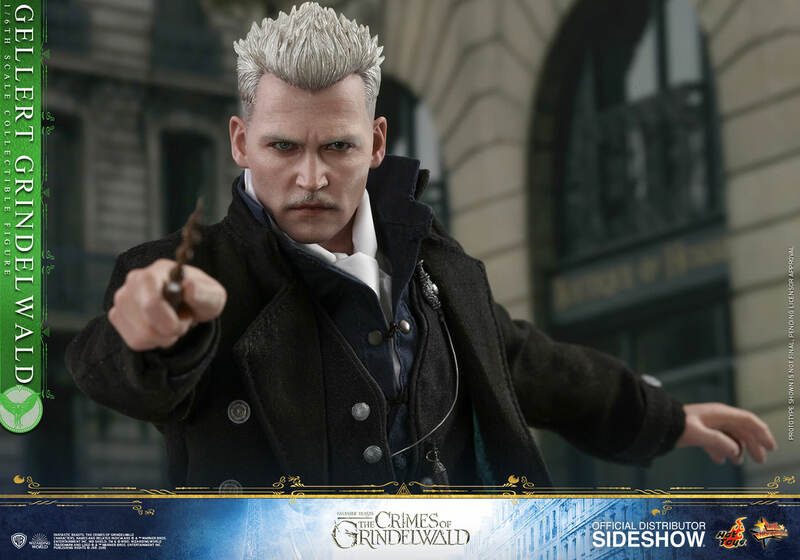 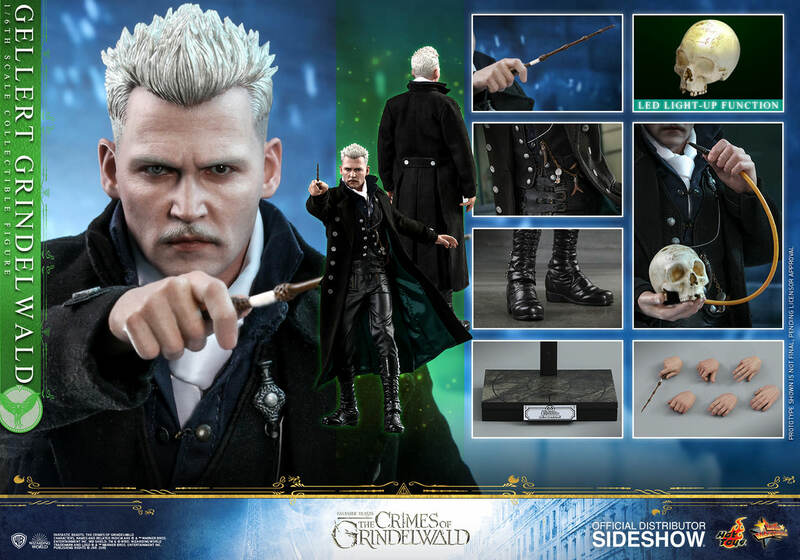 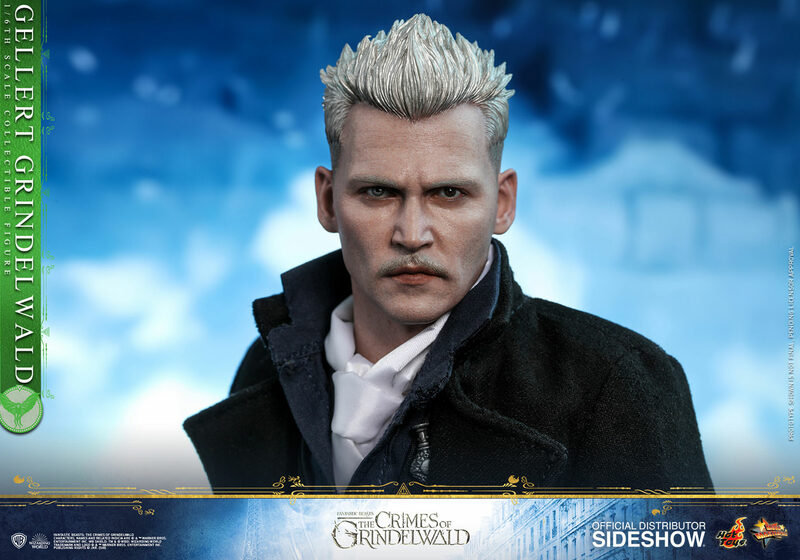 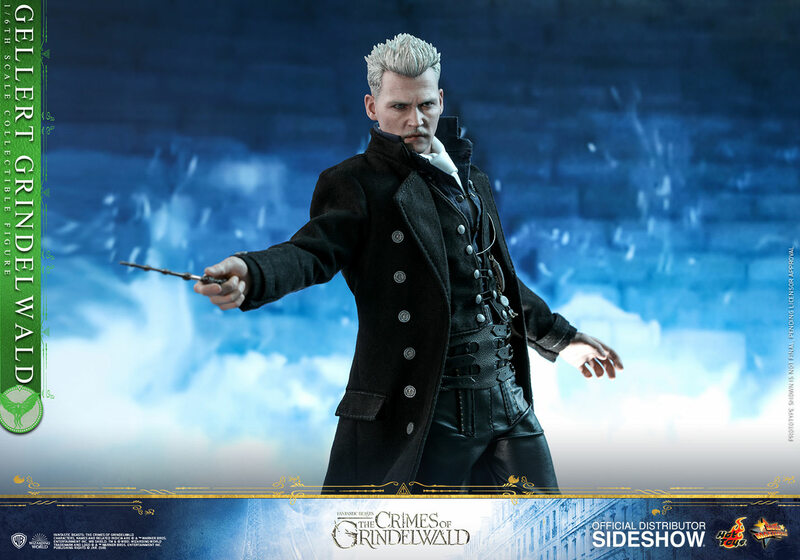 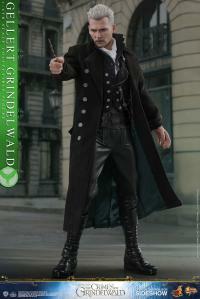 The movie-accurate collectible is masterfully crafted based on the image of Johnny Depp as Gellert Grindelwald, featuring a newly developed head sculpt with mismatched eyes and silver short hair sculpture, a sophistically tailored costume that recreates the iconic details, two engraved skulls including a skull with LED light-up function and a skull with detachable string, a magic wand, a Grindelwald’s pendant and a specially designed movie-themed figure stand. 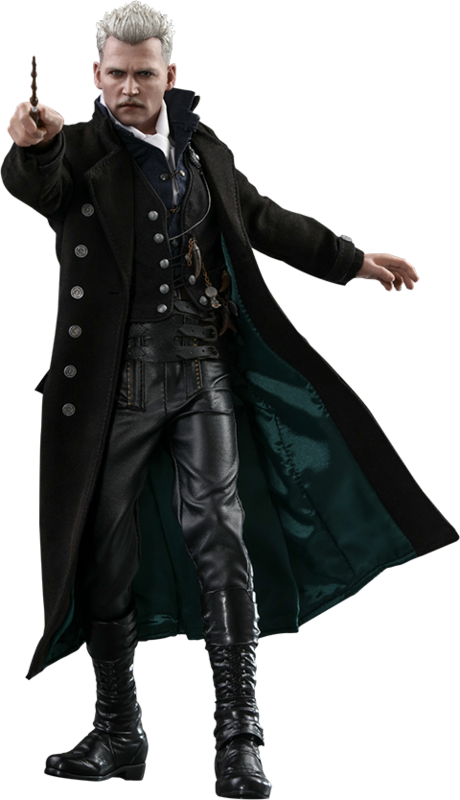 The time is coming! 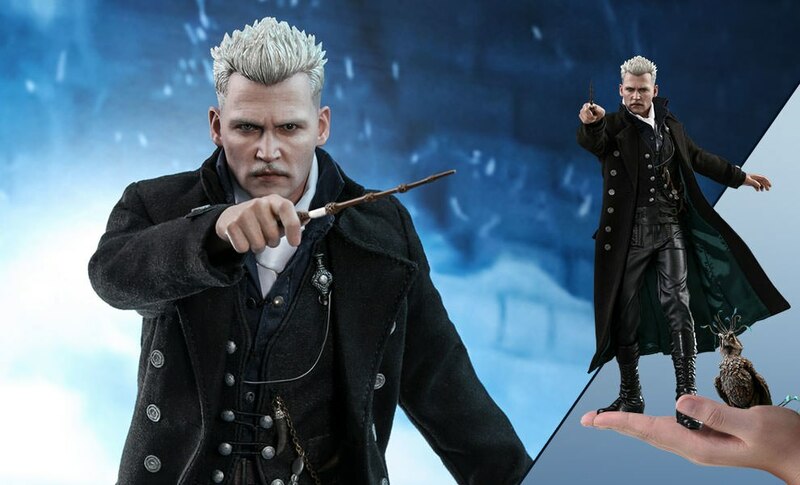 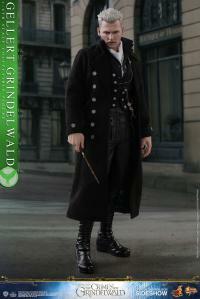 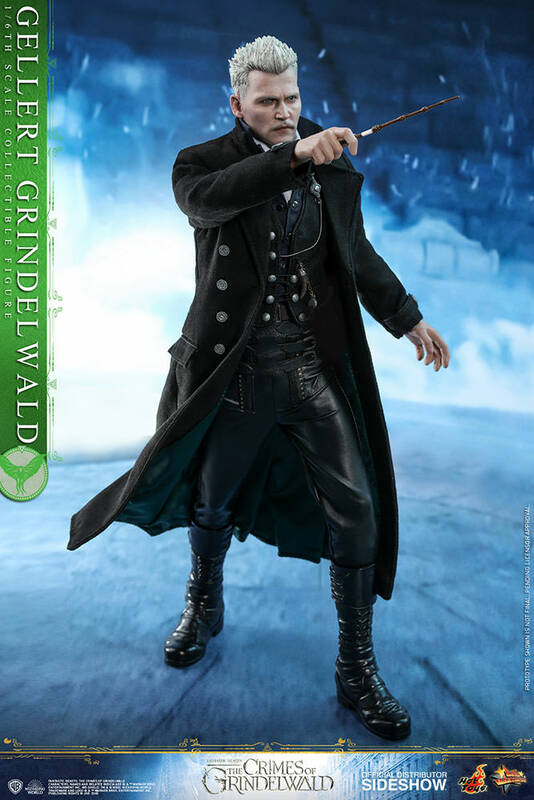 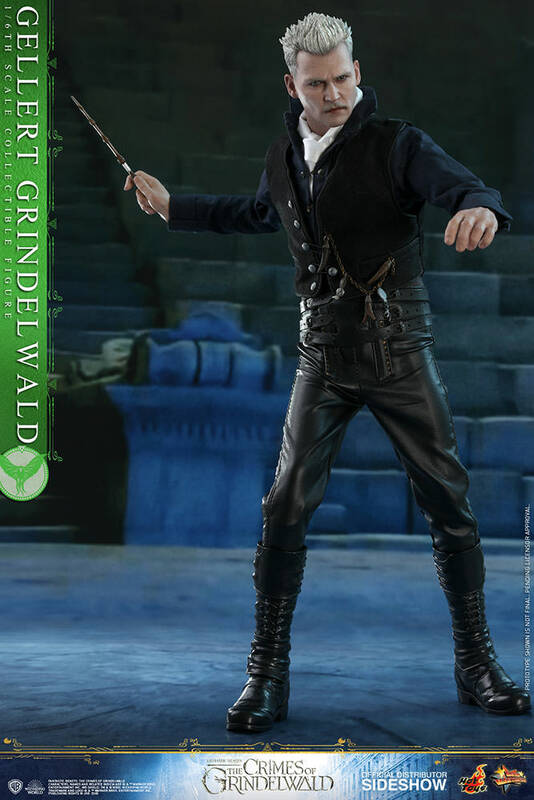 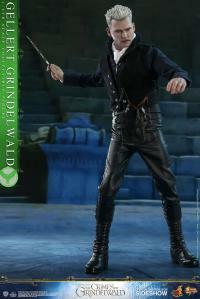 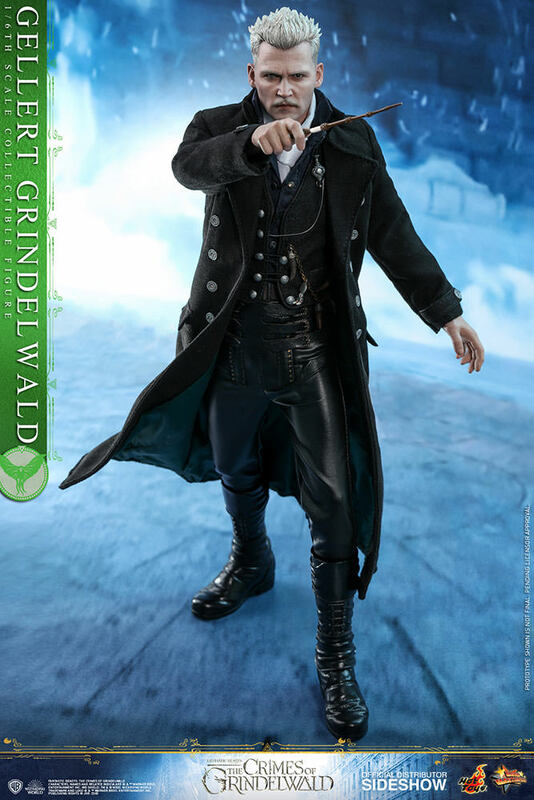 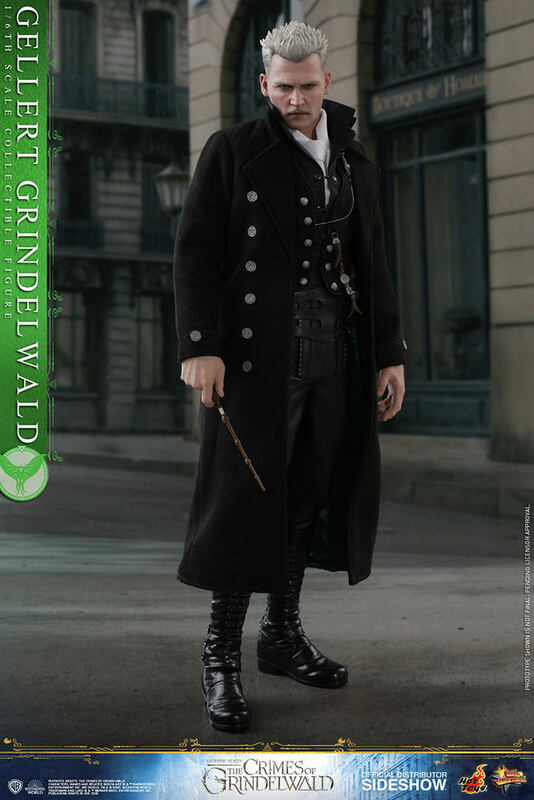 Don’t miss this chance to add the most powerful Dark wizard to your Fantastic Beasts collection! 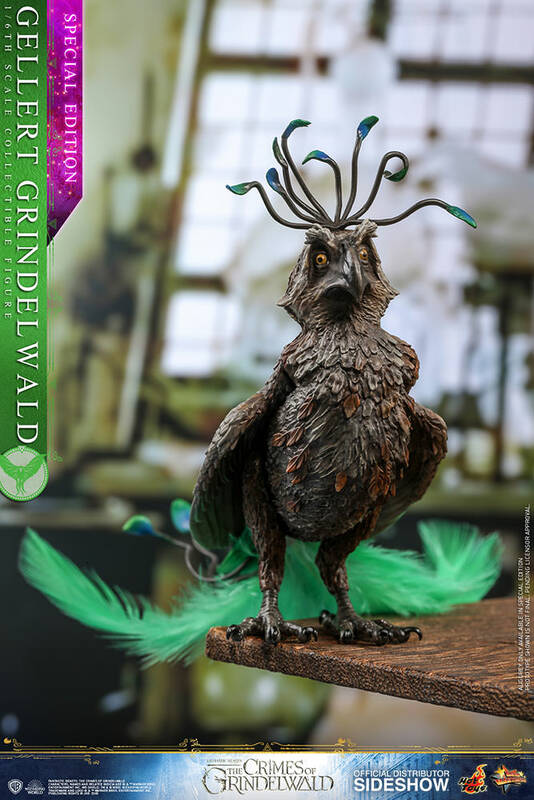 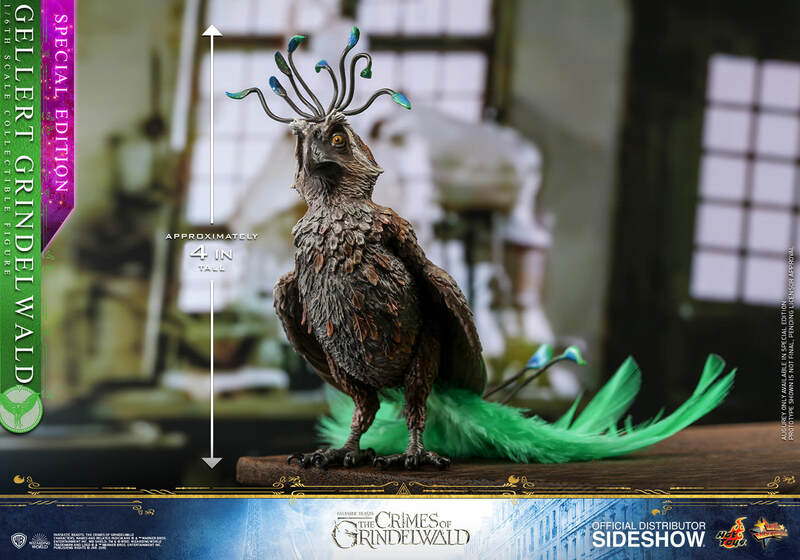 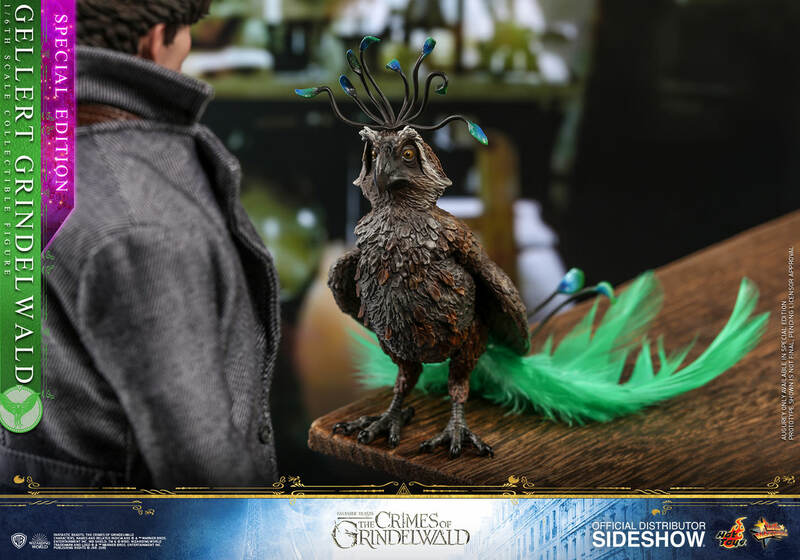 This Special Edition is only available in selected countries and will include a fantastic creature Augurey with artificial feathers!